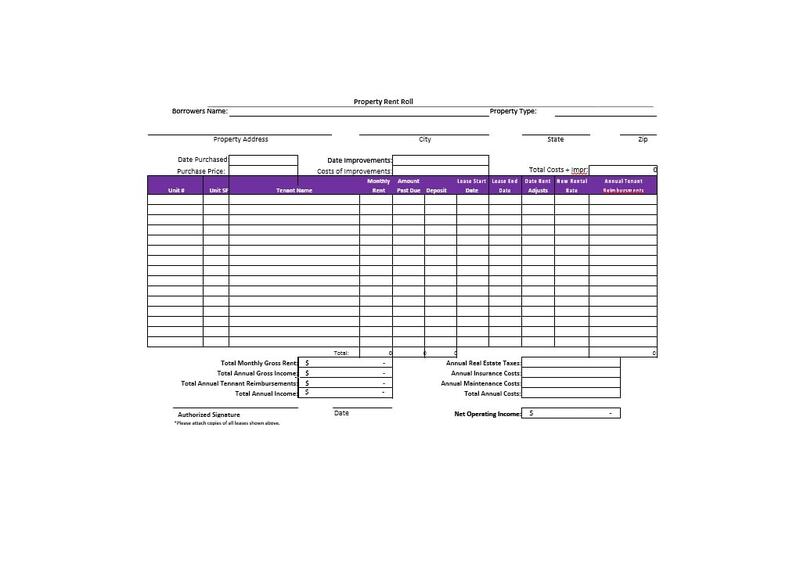 Managing tenant records could be difficult. 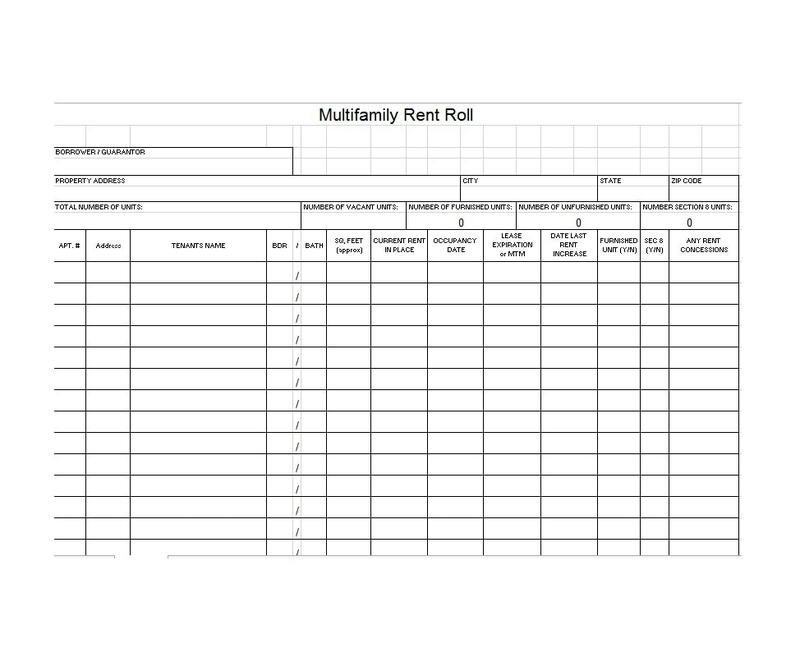 More so if it involves multiple lease residences in multiple areas, then it adds complexity. 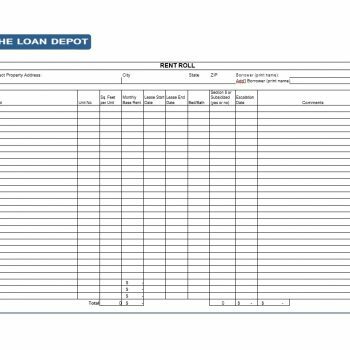 Landlords and lease agencies need these records. 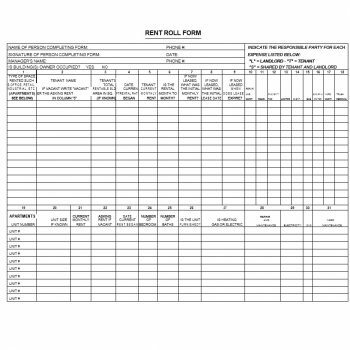 2 What is the purpose of making a rent roll form? 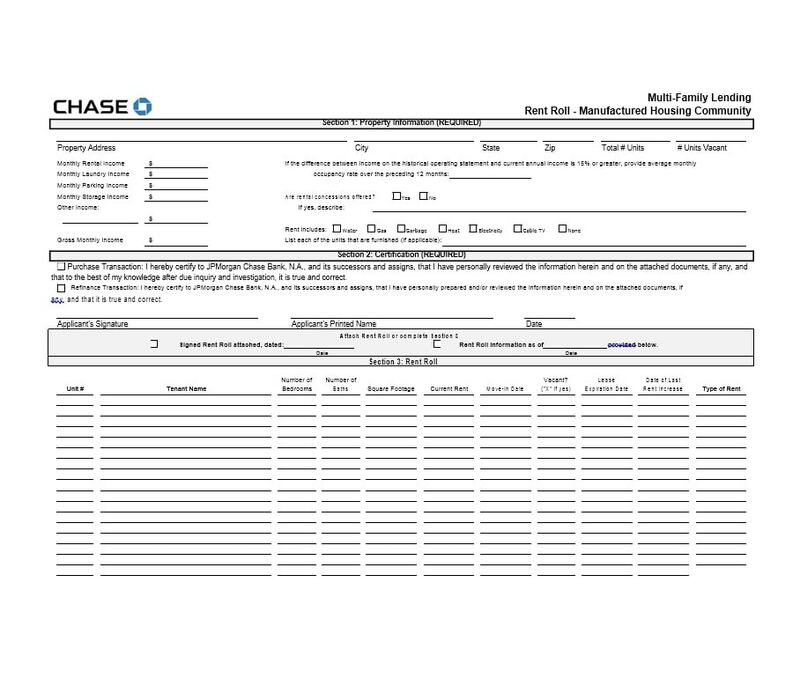 They use the document to monitor the information and activities of their leases. 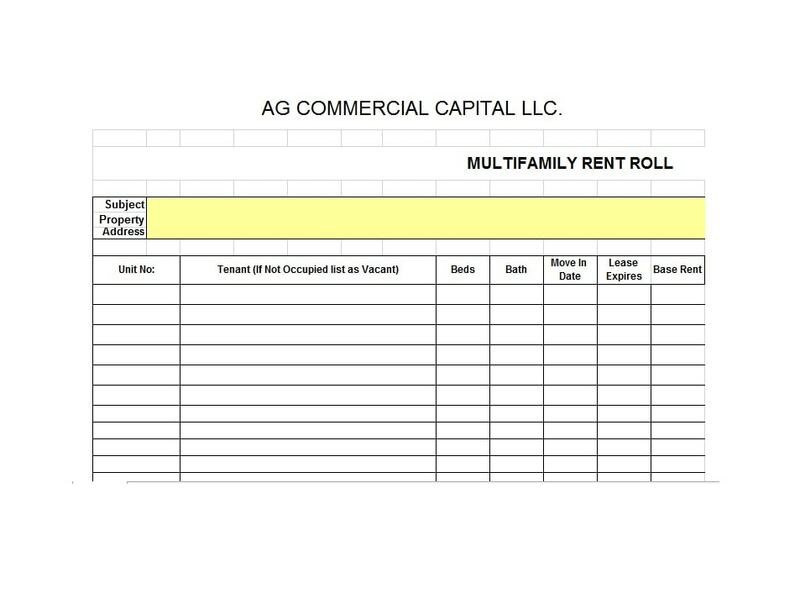 Basically, a rent roll form is a register of rents. 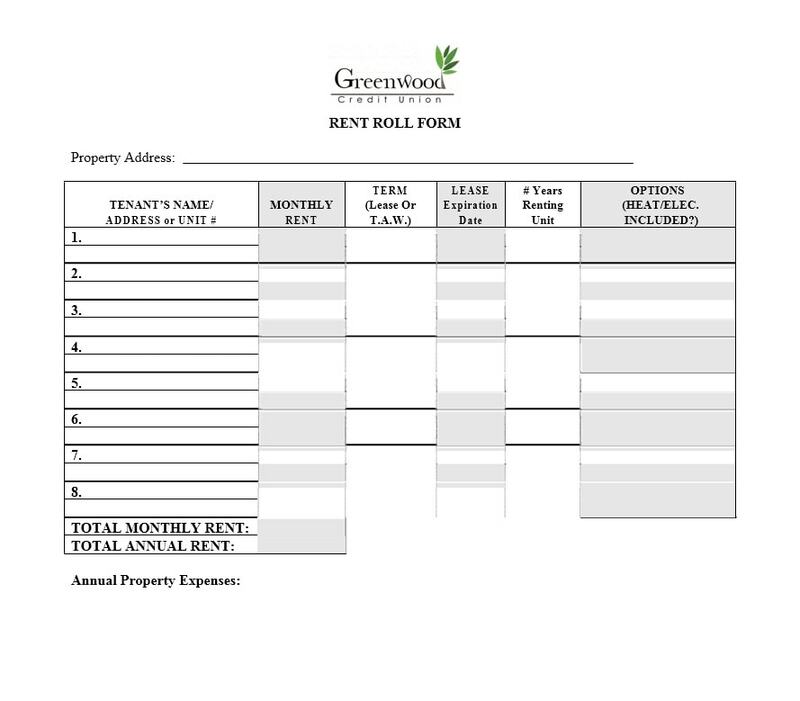 It includes the names of tenants and the amounts due. 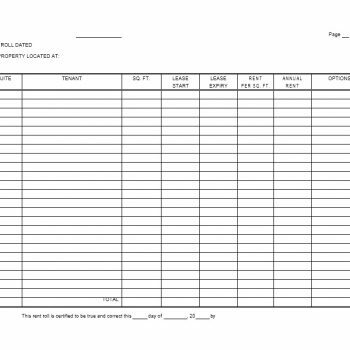 It also contains the total income indicated by such a register. 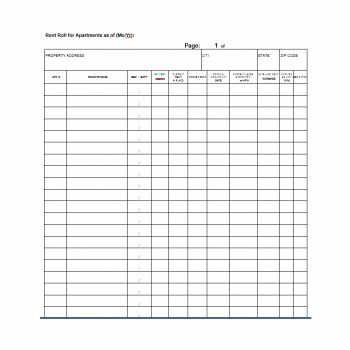 You can also include some other tenant information. 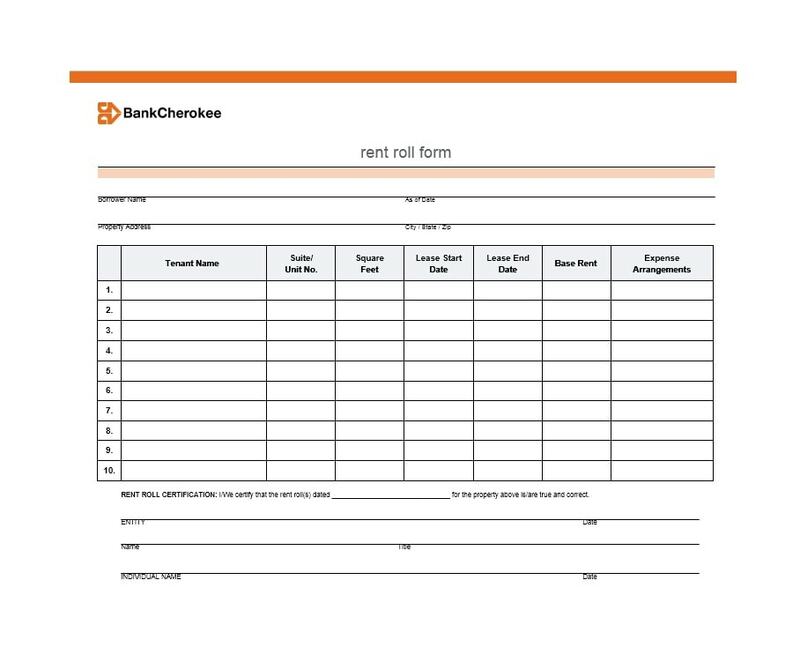 Information like contact address, contact persons, the due date of rent payment, and more. 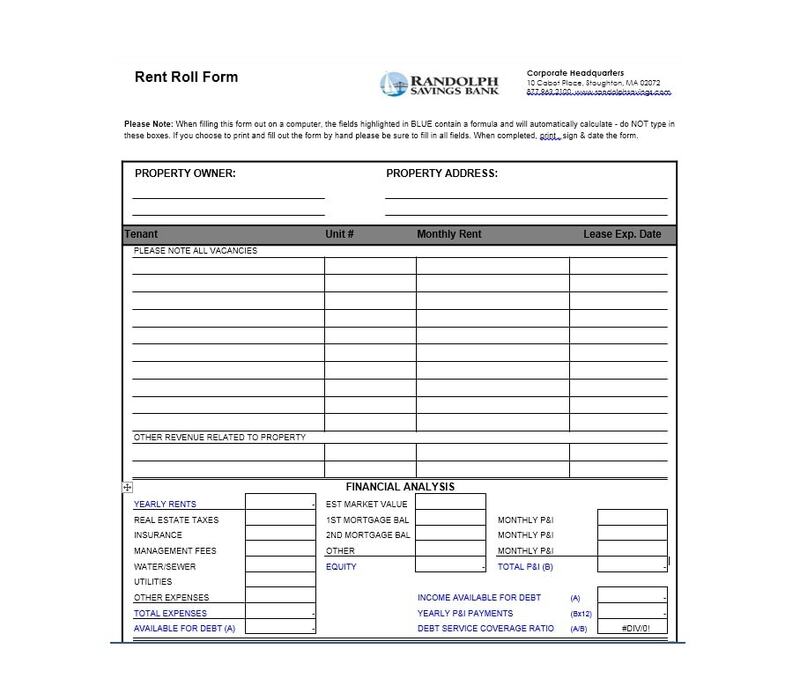 For easy access to tenant information, the template should have the right data. 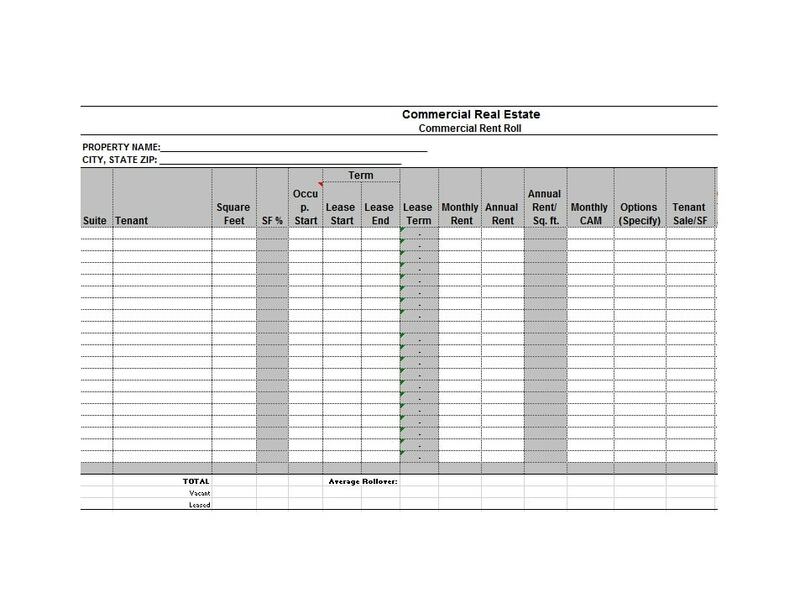 It must include relevant data regarding the landlord and tenant relationship. 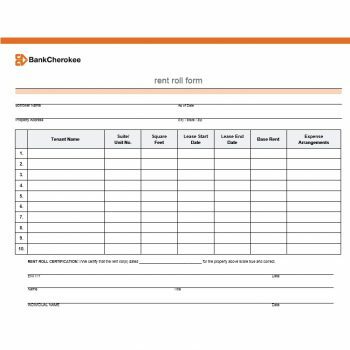 Almost all landlords and rental agencies have some form of rent roll document. 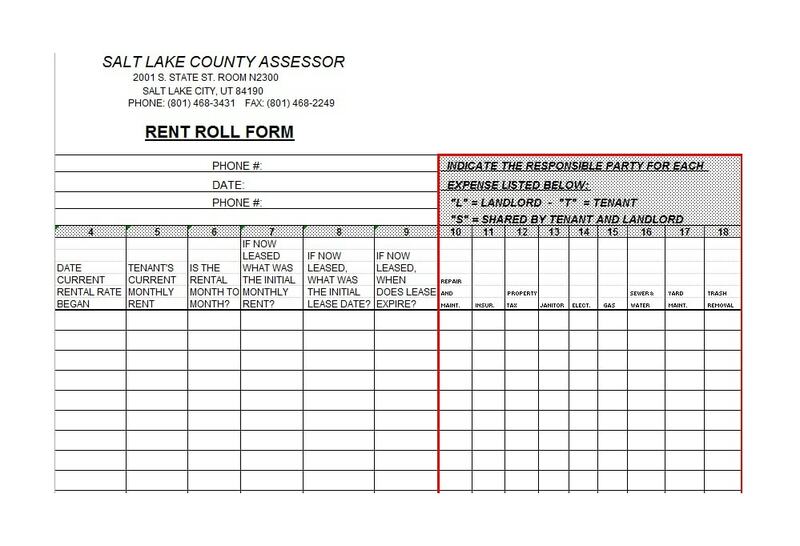 If they decide to sell their rental properties, they would need the document. With it, they can provide relevant information to the buyer. It would contain data about current rents which will be the basis for its monthly income. 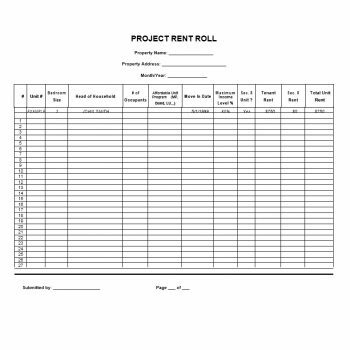 It is logical for the buyer to request the rent roll document. He will use it to see if the purchase would become profitable. 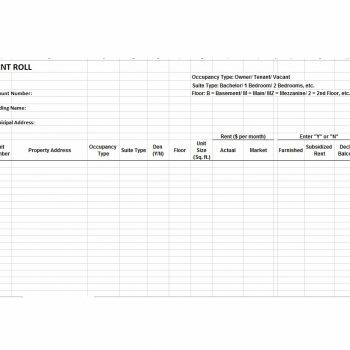 The rent roll itself is a snapshot of the current income of the property as represented by the owner. 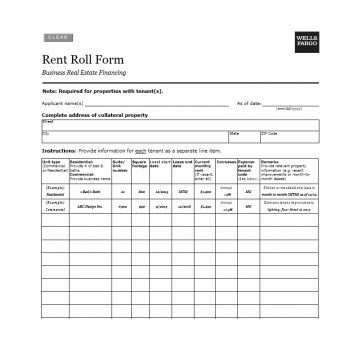 Those who buy rental properties with the purpose of earning can use the rent roll document. They may use it a basis to formulate the value of the property. They can also compare the data against the selling price of the current owner. 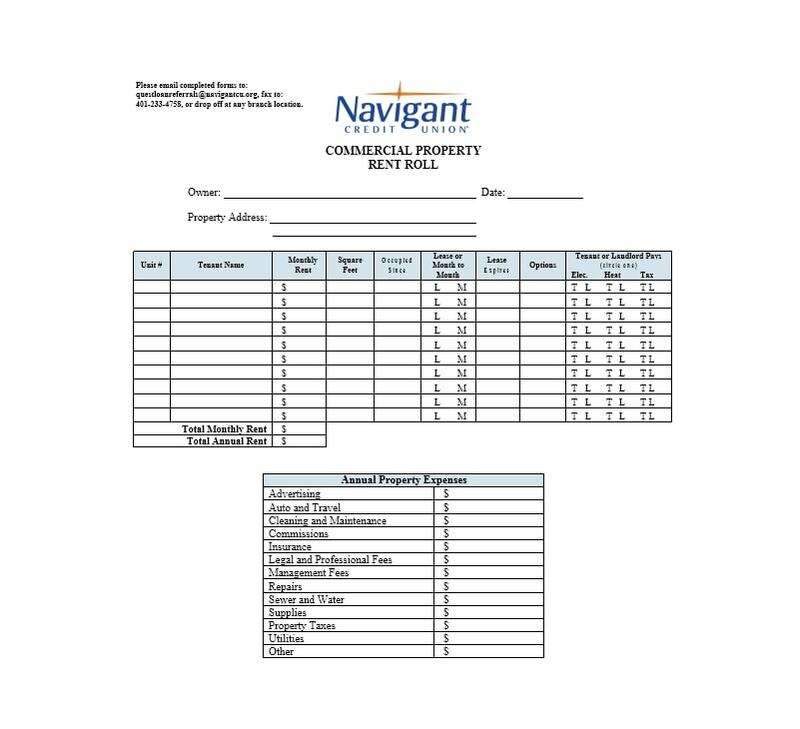 The numbers contained in the document will give the buyer assurance. He will know that the property will be profitable if and when he makes the decision to buy. The income-property buyer will always have profits as a priority in mind. 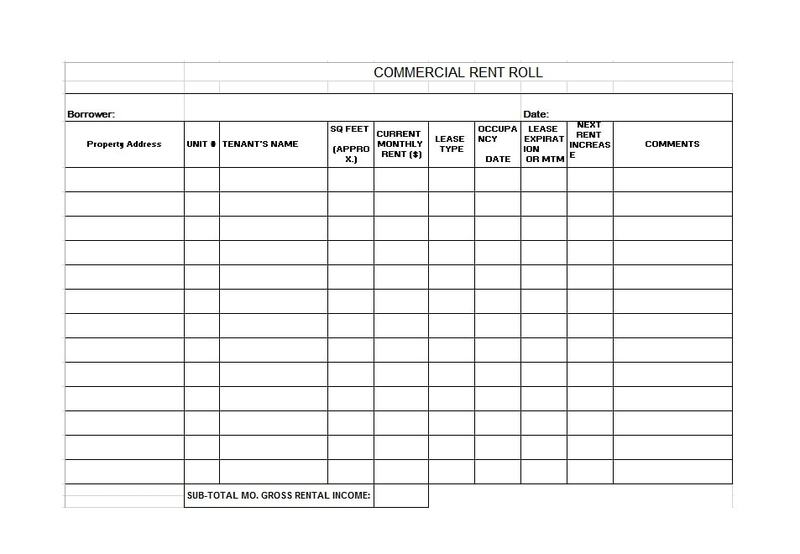 Profits made from rental would constitute the largest source of income. But these can also come from ancillary sources connected to the property. 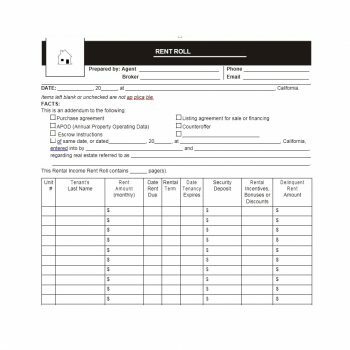 What is the purpose of making a rent roll form? 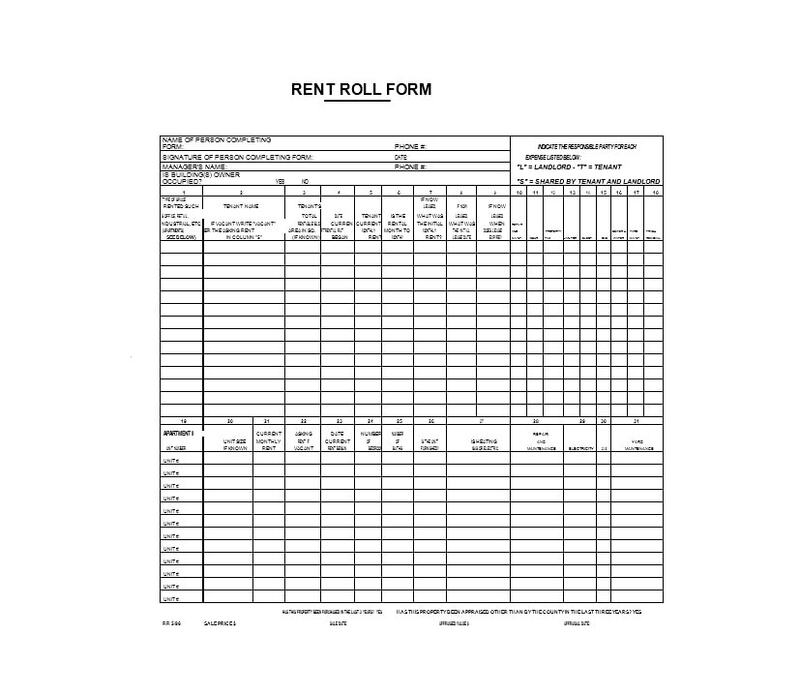 The rent-roll is a source document for current and past records. 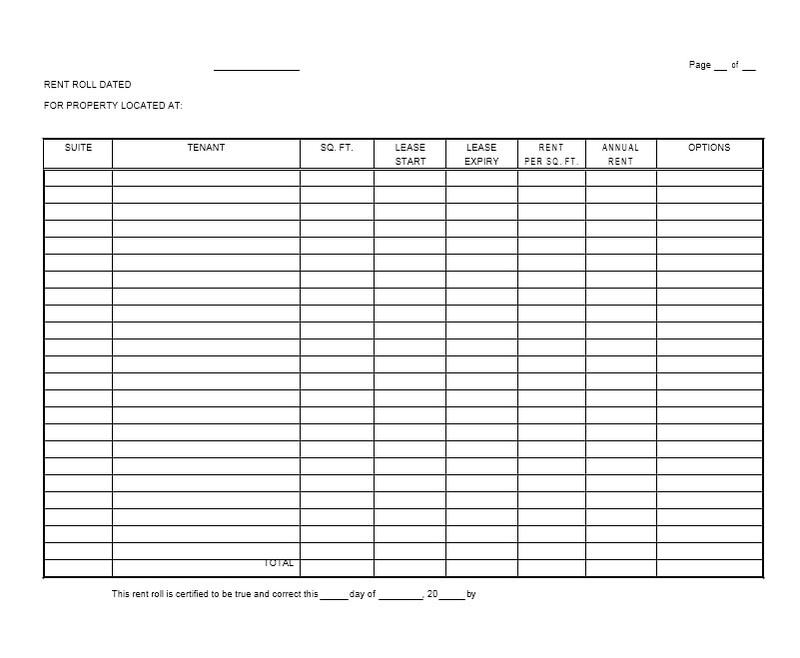 It contains information about rental revenues paid to the leaser. It’s based on valid in-force leases. 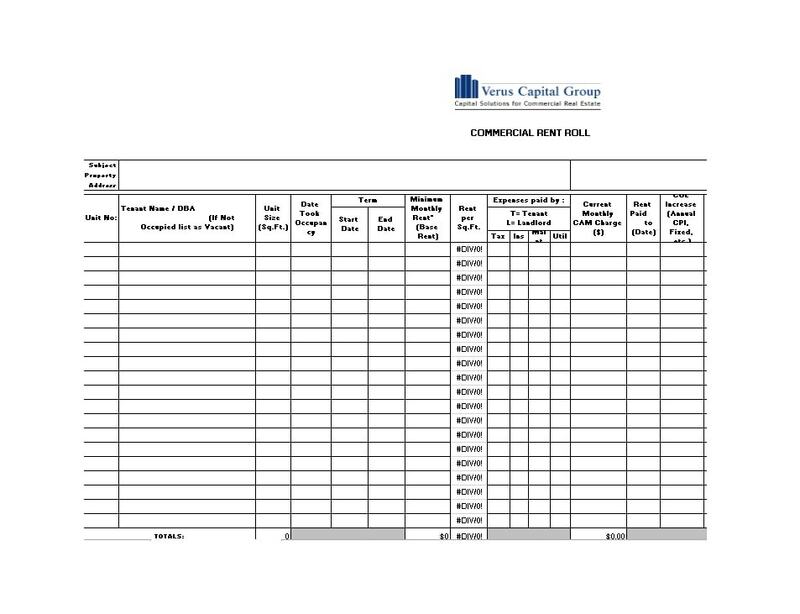 Aside from this, the document will also include the payment history of the residents. 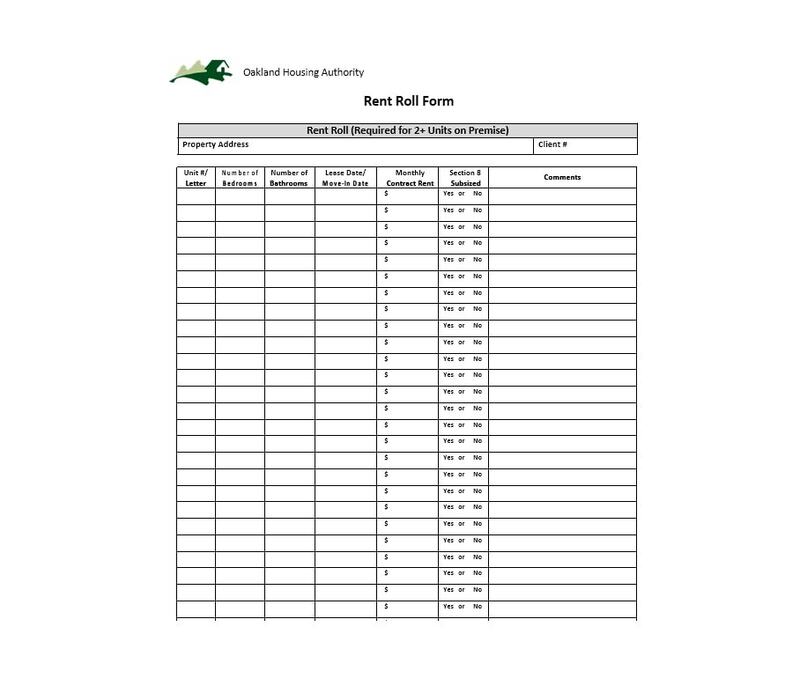 Rent reports contain the expected payments for each given period, usually monthly. 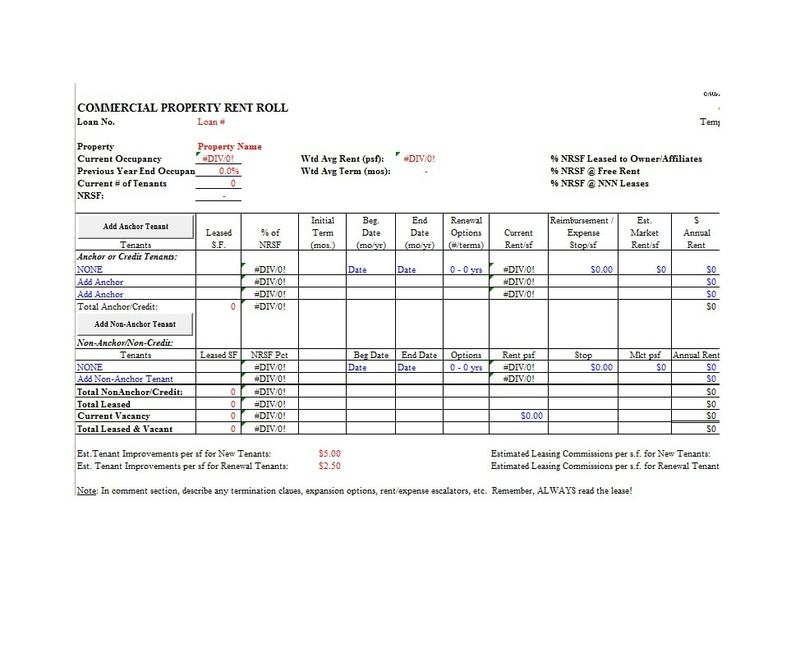 The bigger purpose of the report is to give proof of the property. It provides stability, quality, and longevity in generating income. When you purchase an income property, there is always the intent to own it for a year, five, and ten or depending on terms. 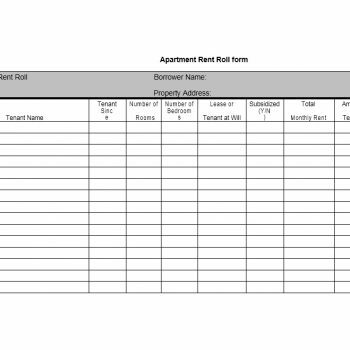 This makes the rent roll important. 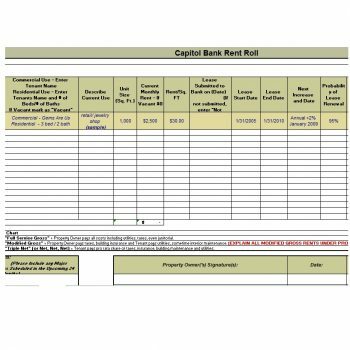 It gives you information about the property’s current income. 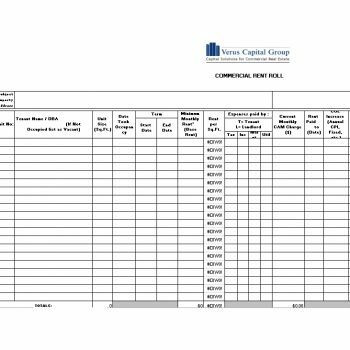 More importantly, it gives you an understanding of how the asset could perform in the long run. 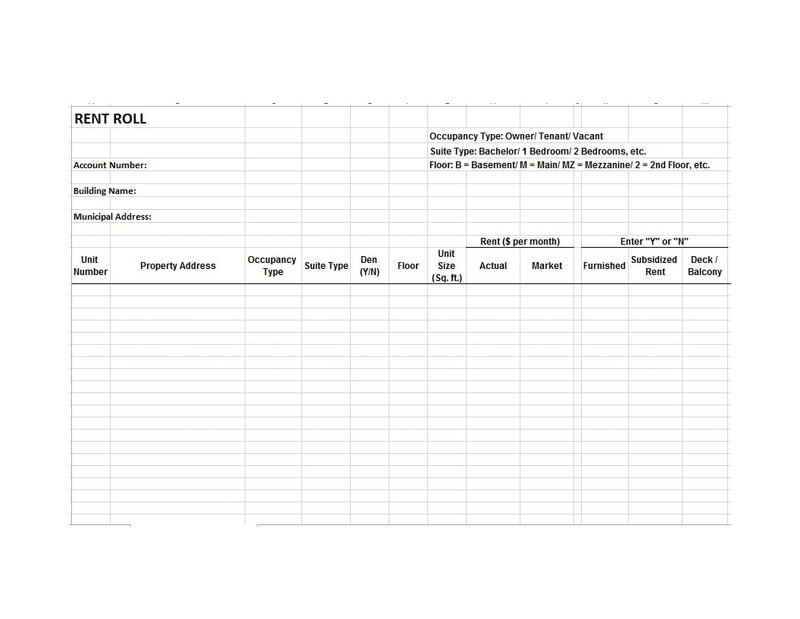 When comparing the monthly income statement and the rent roll, they should match. Logically, they should because the former is a product of the latter. If there are any differences, the amounts involved should be small. You should be able to easily explain the differences. They should also be clearly documented in notes. Otherwise, it will be a cause for concern. 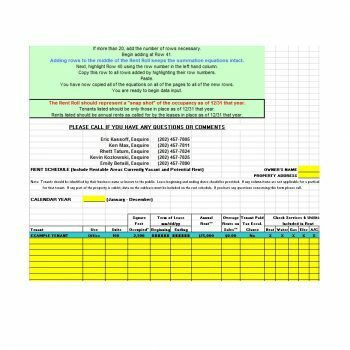 You should make further inquiries to determine the actual income. 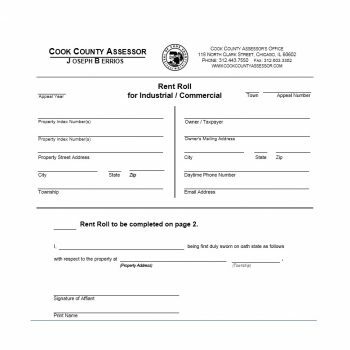 A certified rent roll document is a requirement of government agencies. It’s important for annual monitoring. 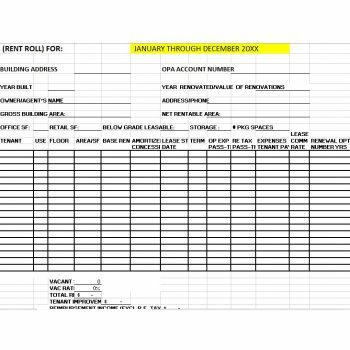 The rent roll is practically an affidavit. 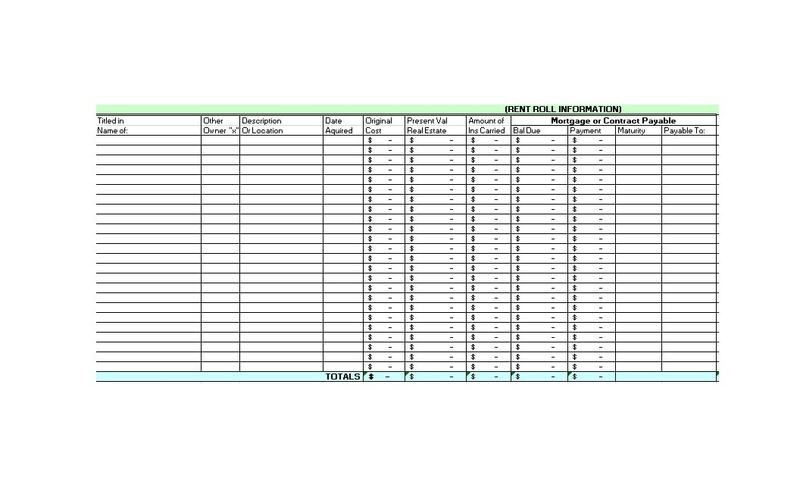 It contains information about collections made by income properties. Presenting an inaccurate one is a criminal act. 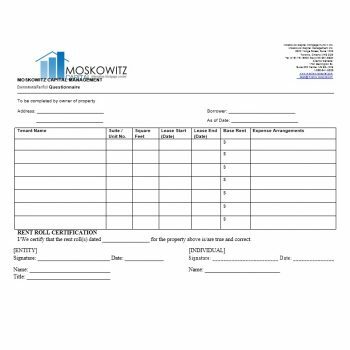 You deliver the document, together with the property’s financials annually. You’ll give it to the proper government agency as a requirement and it must be duly signed. There’s a current boom in real estate business. So people involved in the industry have become more optimistic. 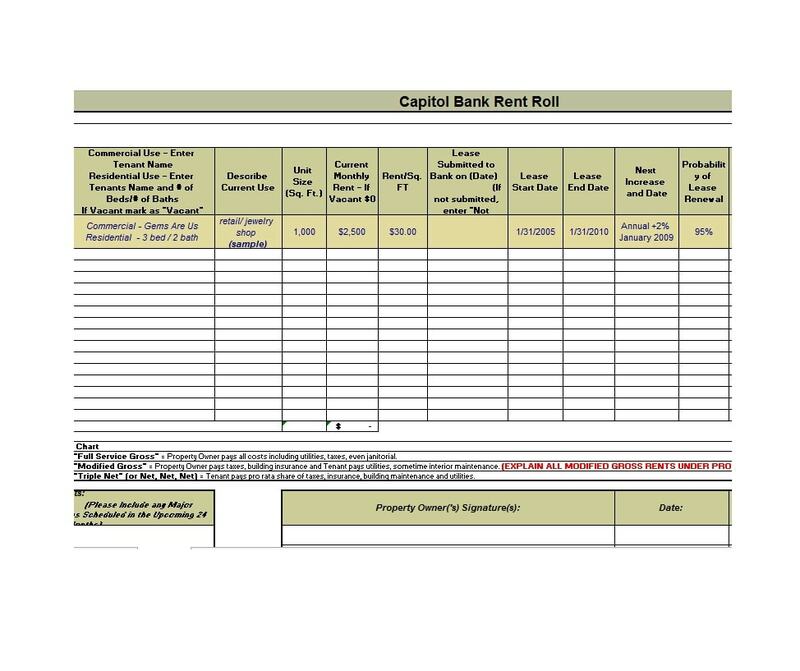 Because of this, the importance of rent rolls becomes more evident. It can provide the necessary details that will determine the property’s viability. Unfortunately, many people tend to ignore these benefits. 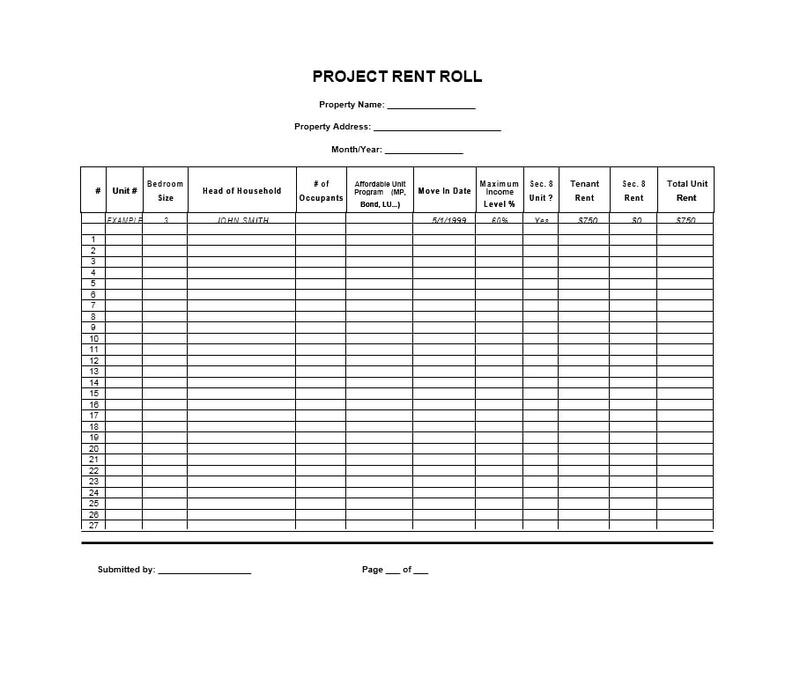 Rental property businesses give importance to the rent roll document. 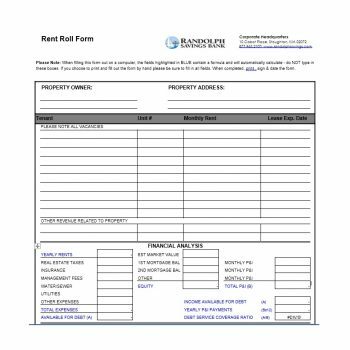 It focuses on and enumerates the property owner’s list of acquired rental properties. 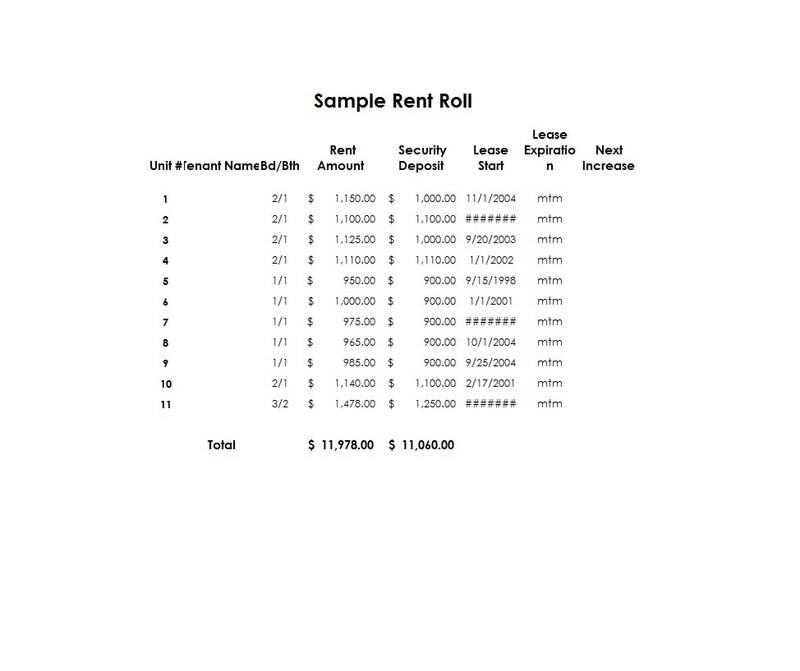 It also contains the amounts received for monthly rent. 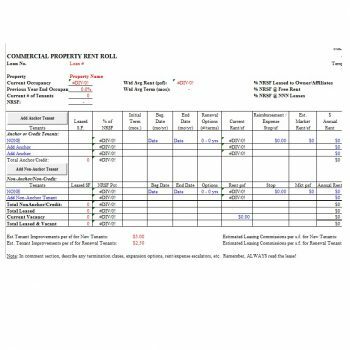 Finally, it includes an assigned percentage increase for the property. 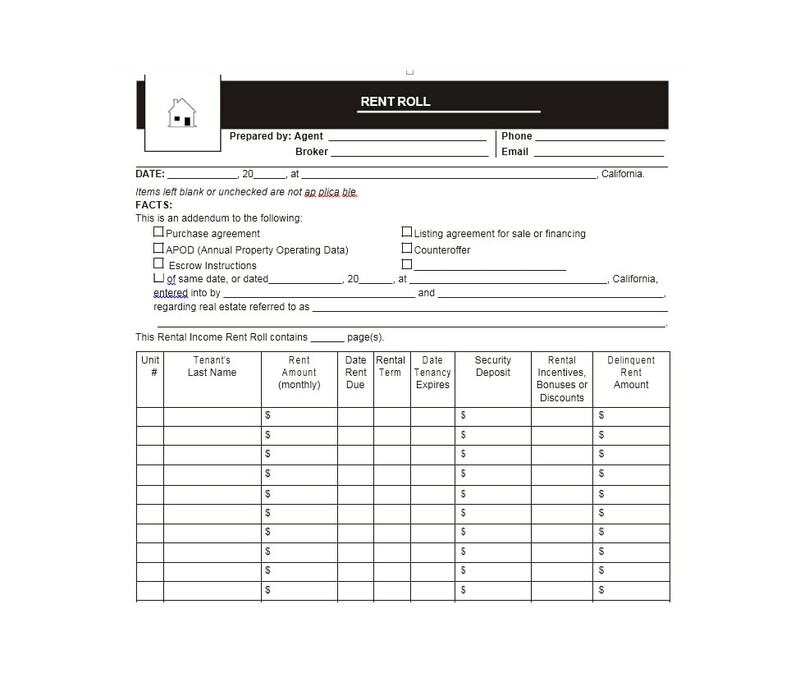 A well-designed rent roll form can readily offer easy access to property information. This will make for easier computations for income property. 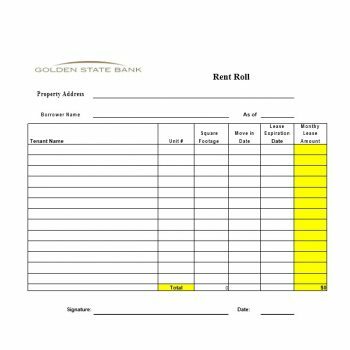 In designing a good rent roll template, you can start by using a standard form as a point of reference. 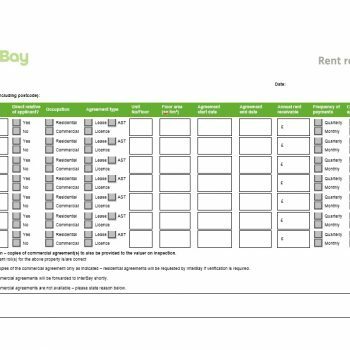 Since renting is commission-based, a percentage-based fee gets subtracted from the rents taken. 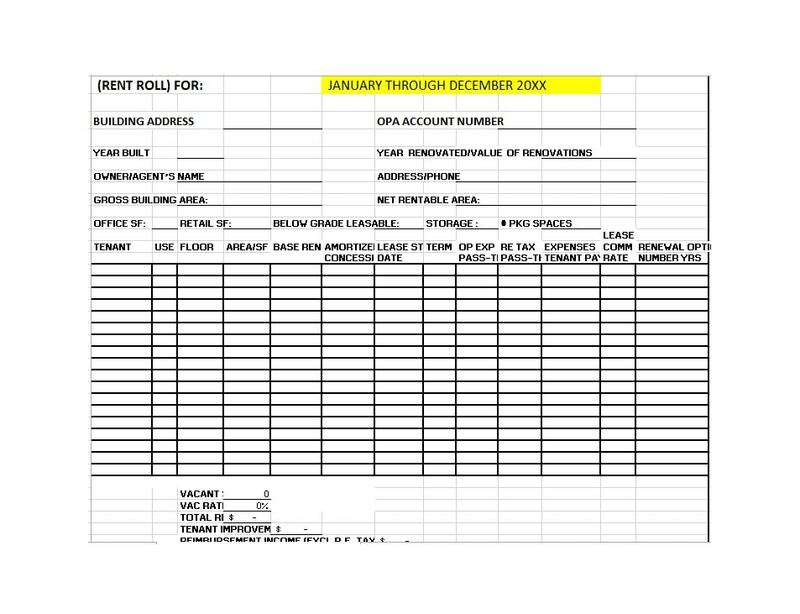 Even if management work is not done in that month, you’re still entitled to your percentage. You always need to stick to the right tools. 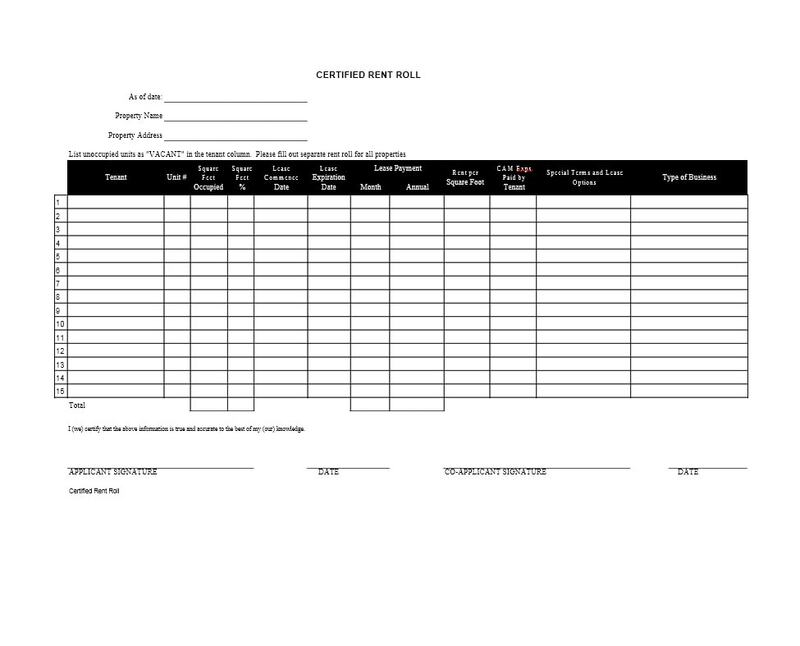 Then, diligently accomplish your monthly reports. 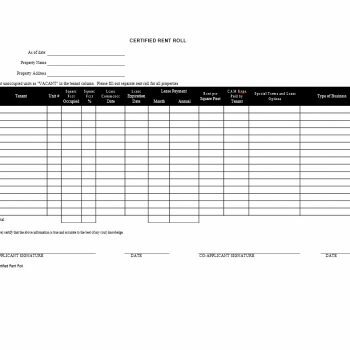 Finally, use the right software and formats in creating the form. 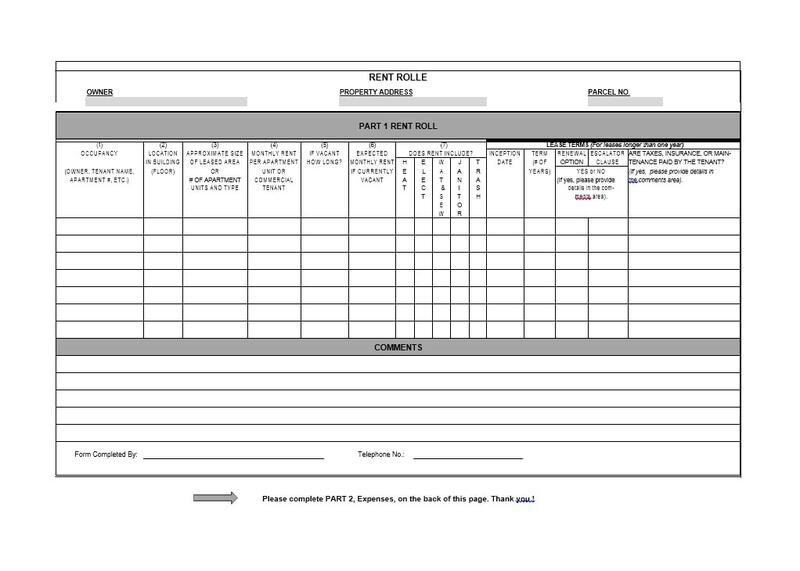 In doing this, your work will be greatly facilitated. You will be able to monitor important details and information. 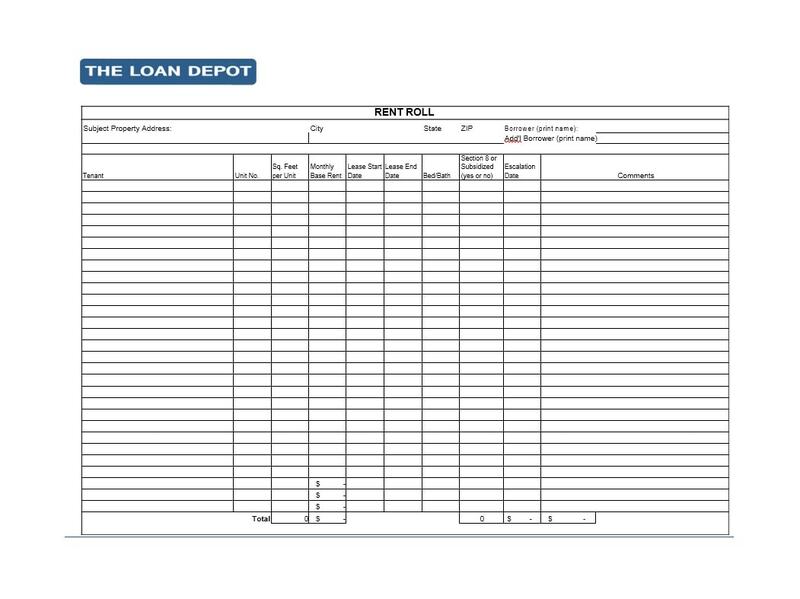 These include vacancy rates, tenant’s late arrears or the progress of job orders, and more. 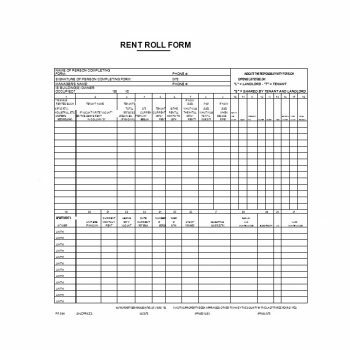 The rent roll document contains important information about income properties. So this means that you can sell it or buy it as an asset. 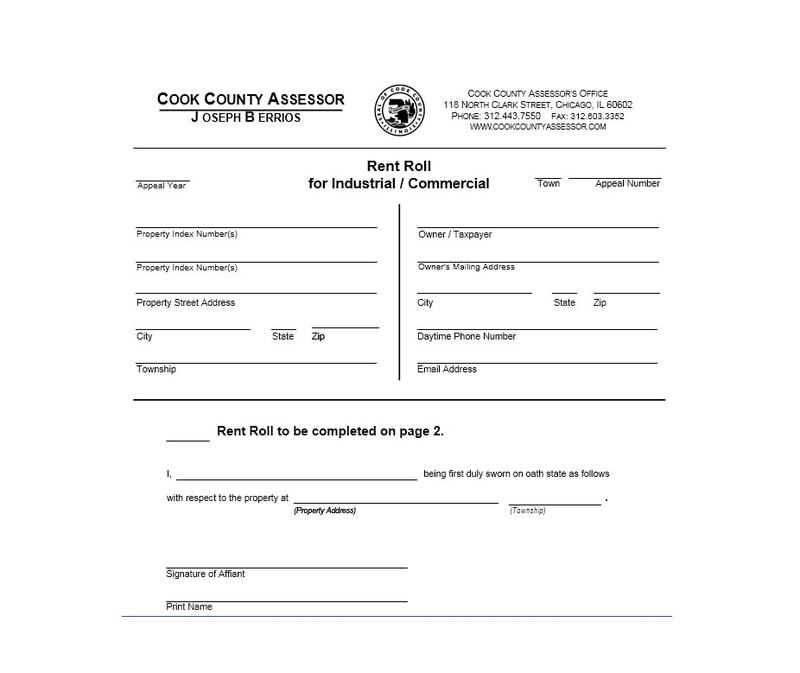 The information contained in a rent roll makes it an asset. 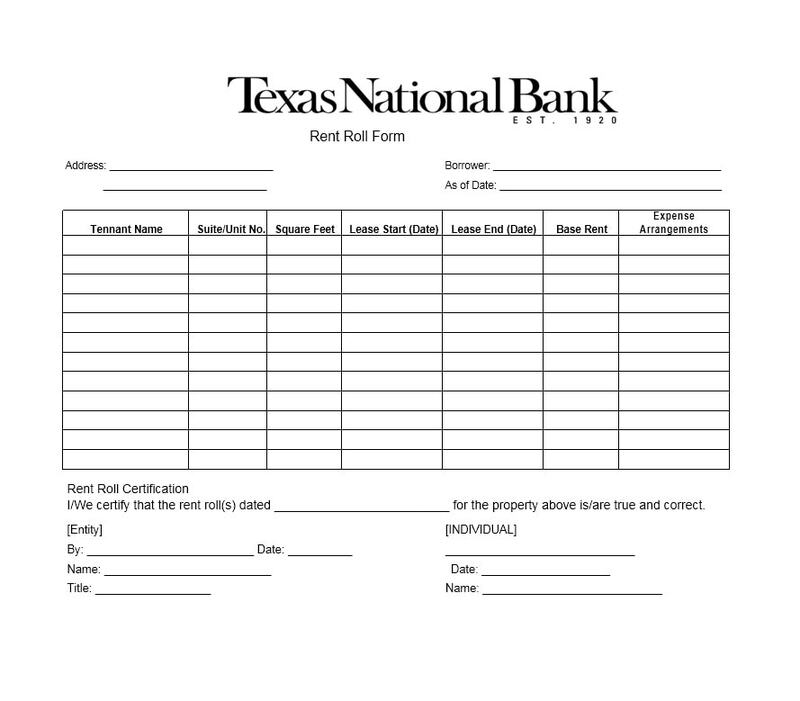 Banks will readily allow you to borrow money against its value. Talk about collateral. 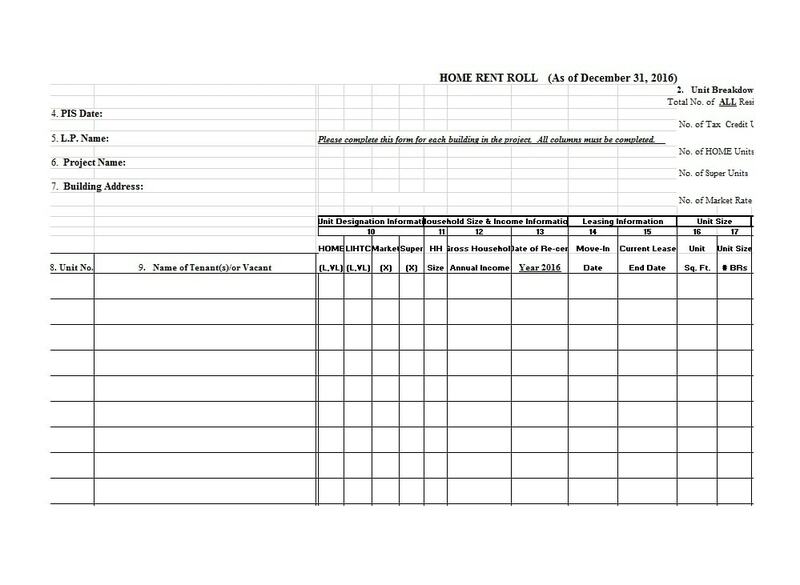 With a rent roll, you’ll enjoy fees derived from income and charges. 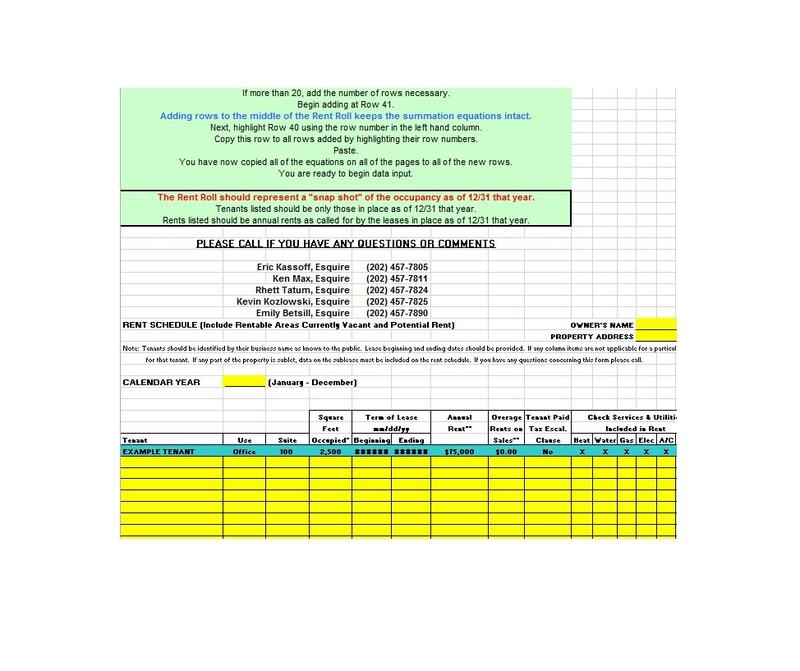 You’ll receive this every month, making it a very reliable and consistent source of income. You can trust the process and it will deliver month in and month out. Unlike sales incomes which fluctuate, where it can be great this month and bad the next. Other business can suffer some level of damages for many reasons. But rent rolls, subjected to the same conditions, will not. Owners will stay even in the most trying conditions. 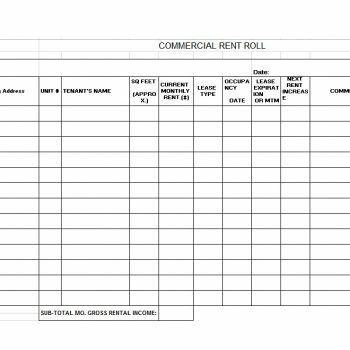 When involved in rent rolls, there is no need to stock up on inventories like those in the retail business. 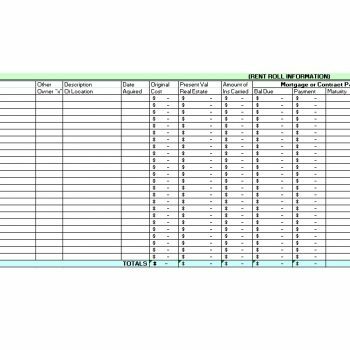 All the information you need to run your business is on your computer. So, all information is just a finger’s distance away. No need for those expensive spaces either. 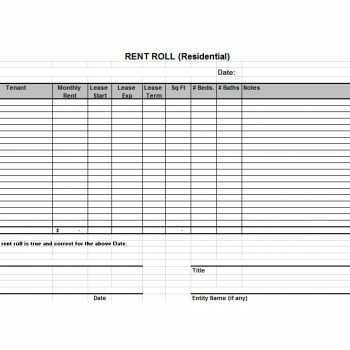 You can run your rent rolls from your garage or in the safety of your bedroom. The real estate business focuses on sales. So there would be not much competition for property management. When you’re renting out your property, you’re not selling it. You’re merely providing people with a way to reside in a home without having to buy one. 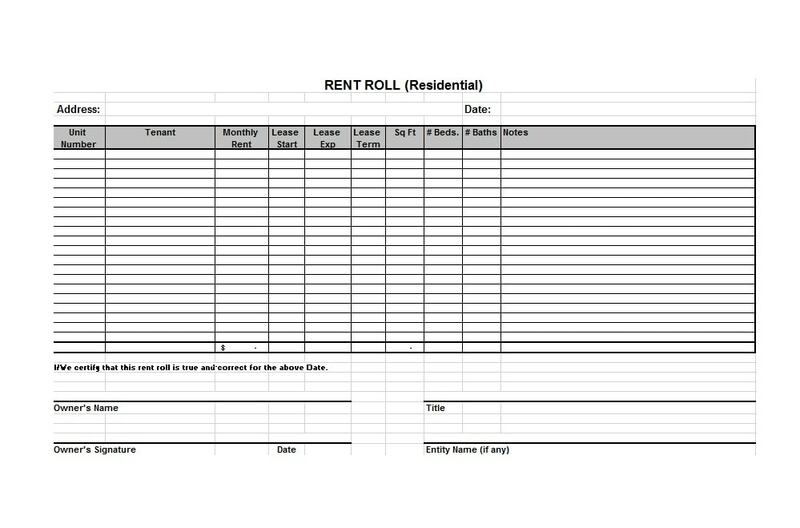 And if you’re using a rent roll, you’ll be more efficient at your job. This would help set you apart from others. 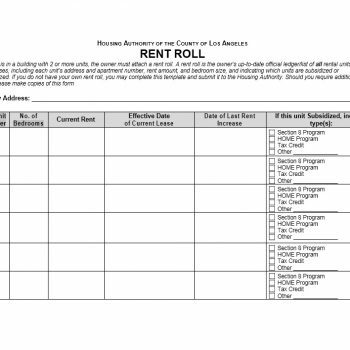 Although great rent rolls can profitably stand on their own, it can divest its interest. You can use them to support other in-house services and do so much more. 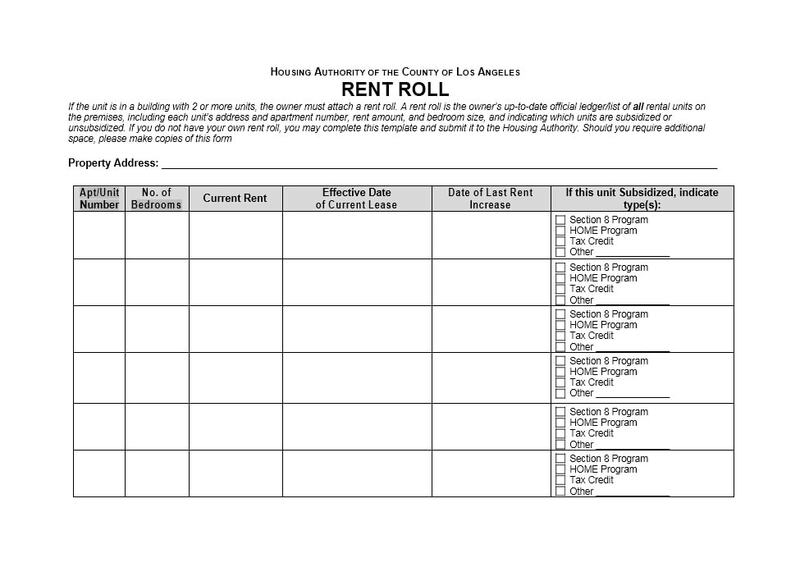 As you can see, rent rolls are very beneficial. 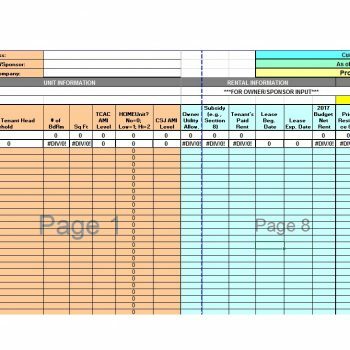 They’re not just documents but they serve different purposes. 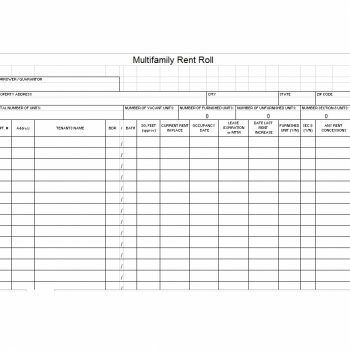 Now, if you want to make your own rent roll form, you should know the different types. 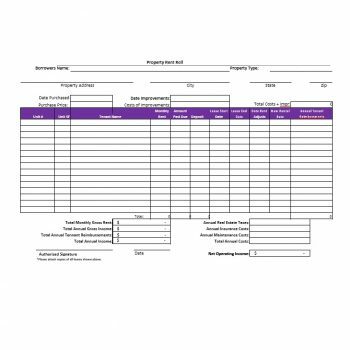 Knowing them would allow you to create your own document effectively. 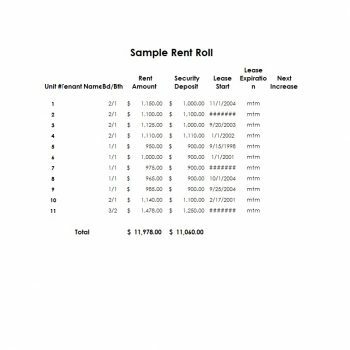 Persons interested in the field of finances can find out more about rent rolls. Learning this concept can benefit and enhance their personal financial performances. Real estate is an investment and as early on in life, one should consider investing in some form of real estate. 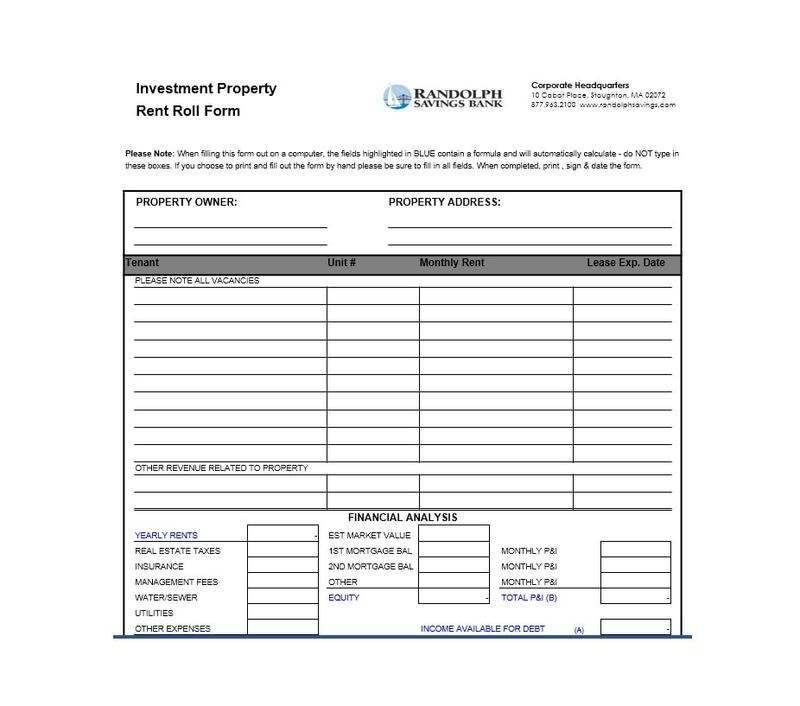 You may own a number of real estate properties which have been previously rented. 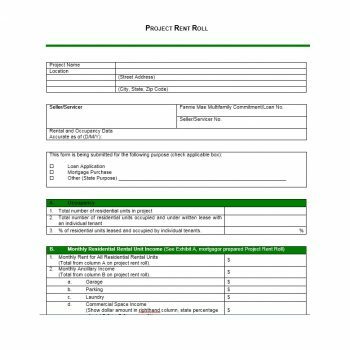 In this case, you should complete a rent roll template. 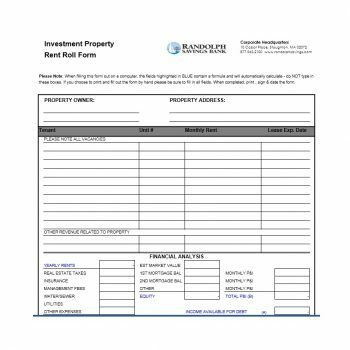 Someone interested in rental property ventures will come across several related documents. 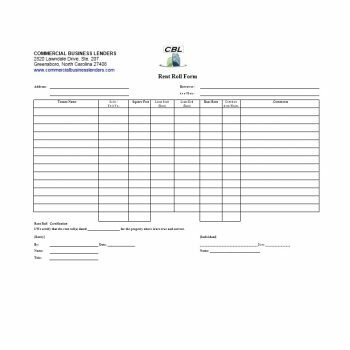 One such form is the residential lease form. 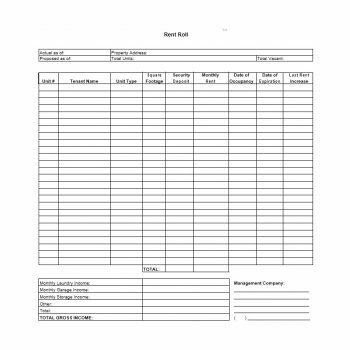 This is a document that records the tenant’s general information. 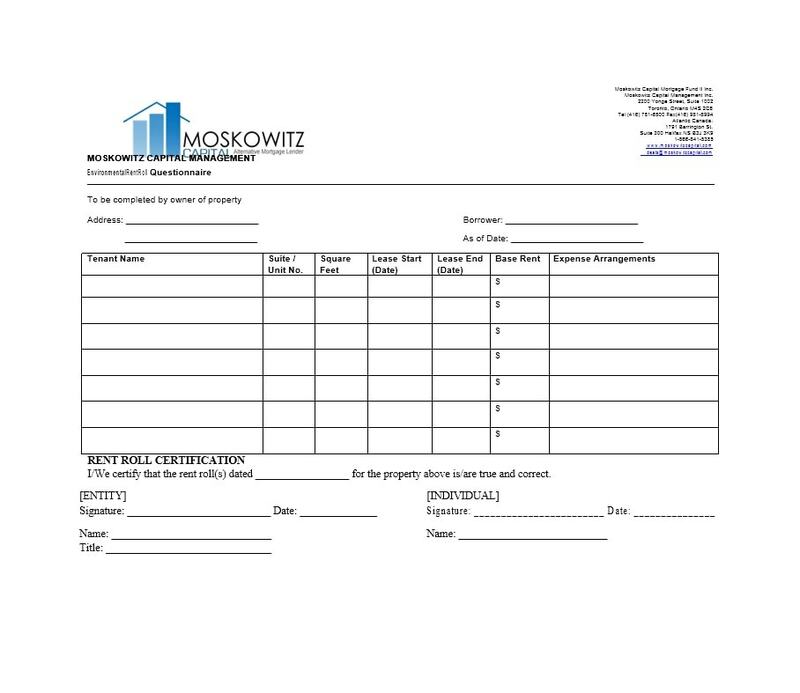 It also sets the conditions regarding the residential property’s lease. 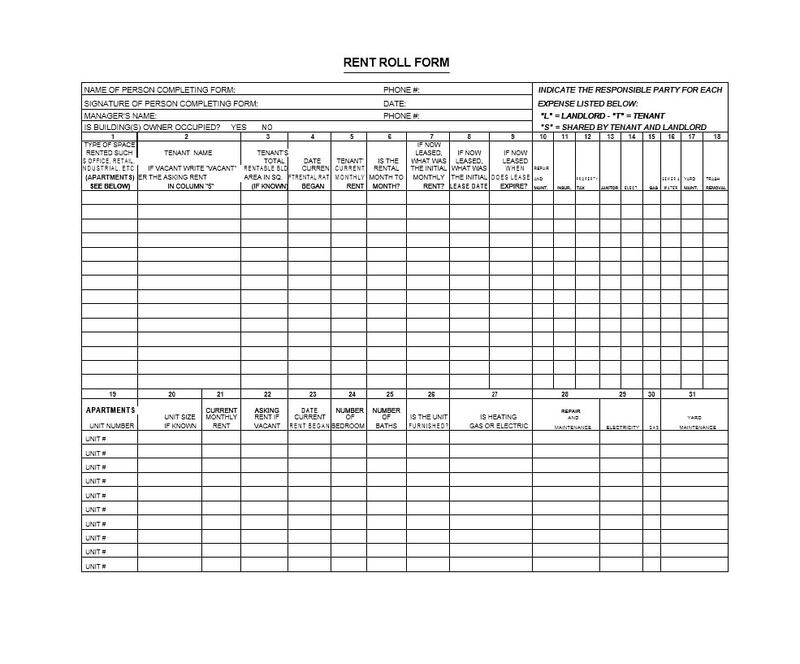 Another form you may encounter in the rental property business is the rent roll form. 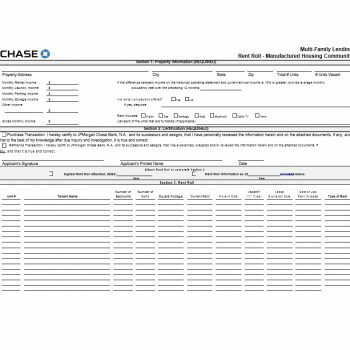 Included in this form is information regarding the borrower’s name and property address. 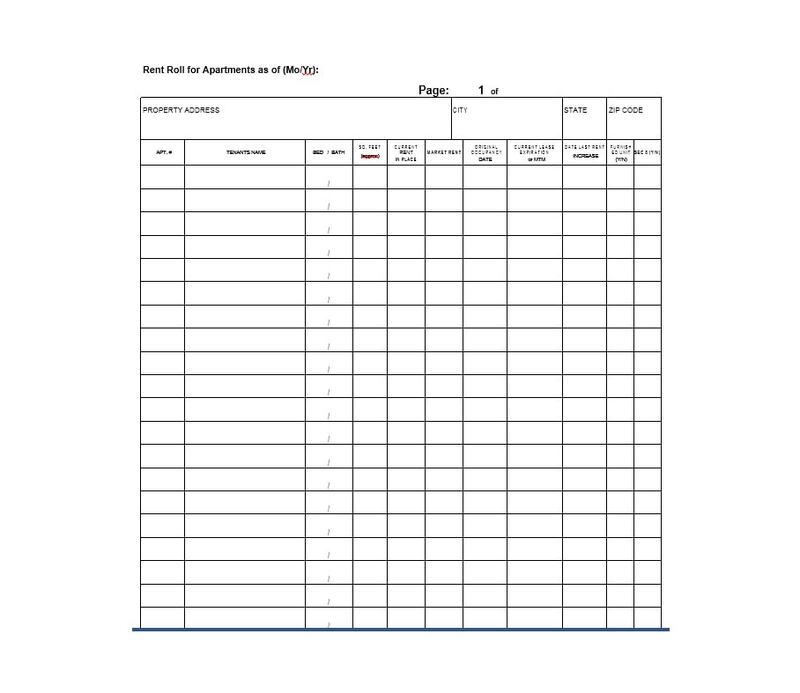 It also contains the tenant’s name, date of the tenancy, number of rooms, and the lease. 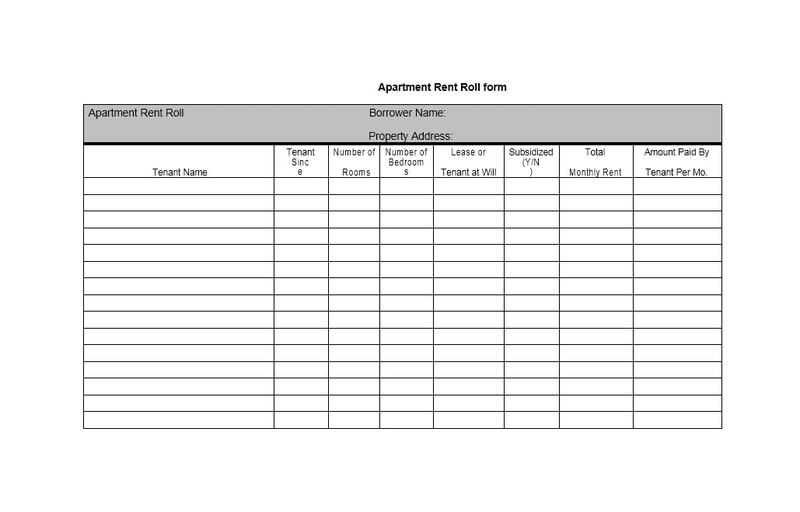 Finally, it should include the total monthly rent and the amount paid by the tenant. When you acquire any type of real estate, you will have the responsibility of maintaining it. This would ensure that its value remains intact. 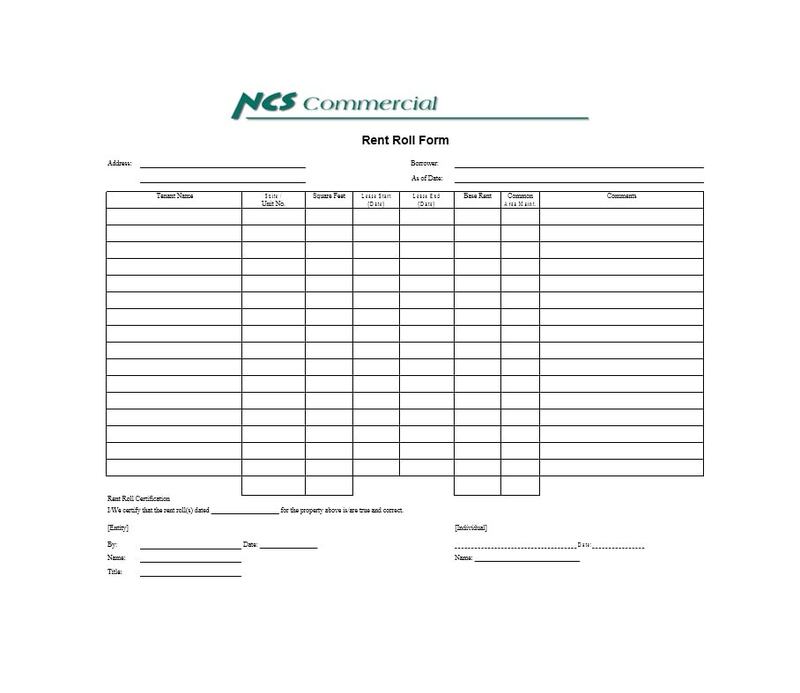 In order to do this, you may have to come up with some documents to serve different purposes. This is especially true if you want to rent out your property. 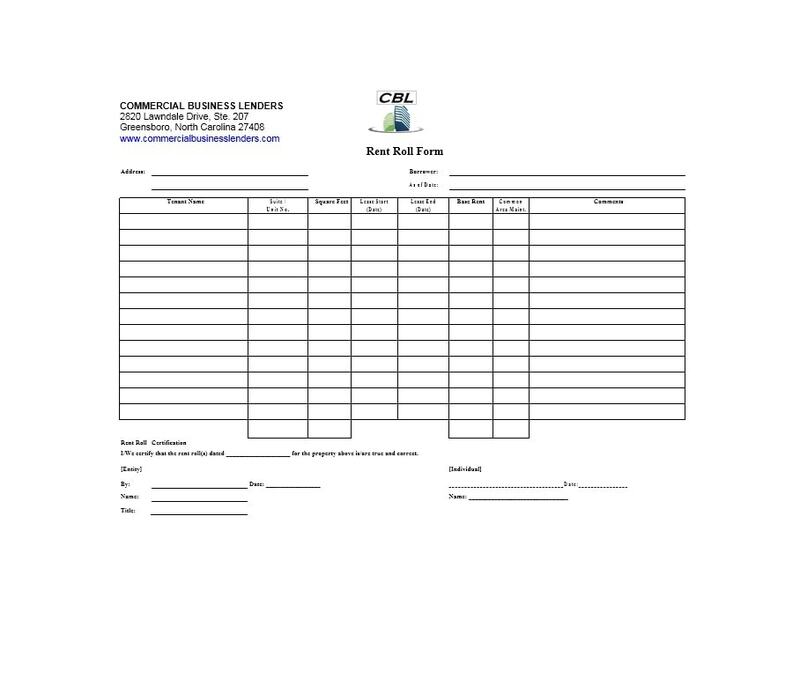 A document like a lease termination form can help you establish practices. 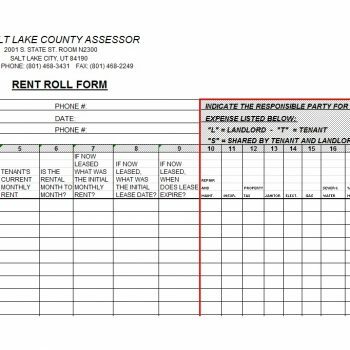 You can employ these practices to keep your tenants in order. 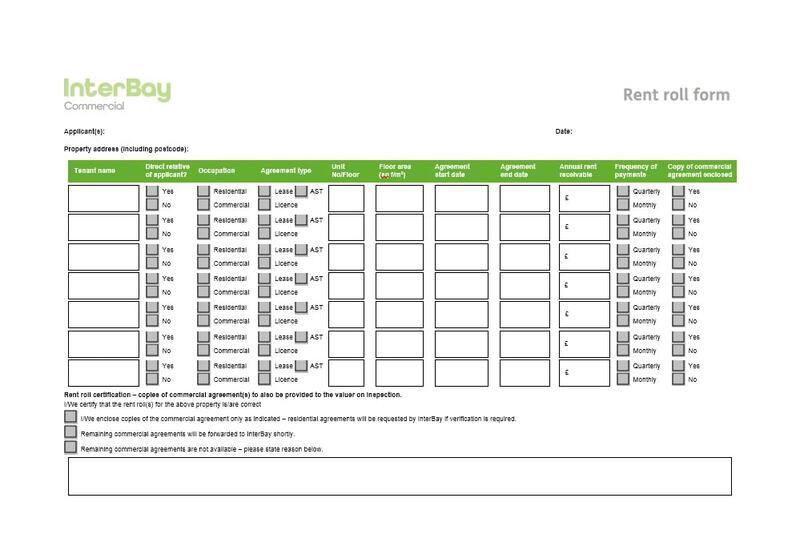 You can also use a rent roll to record all relevant information about the tenancy. 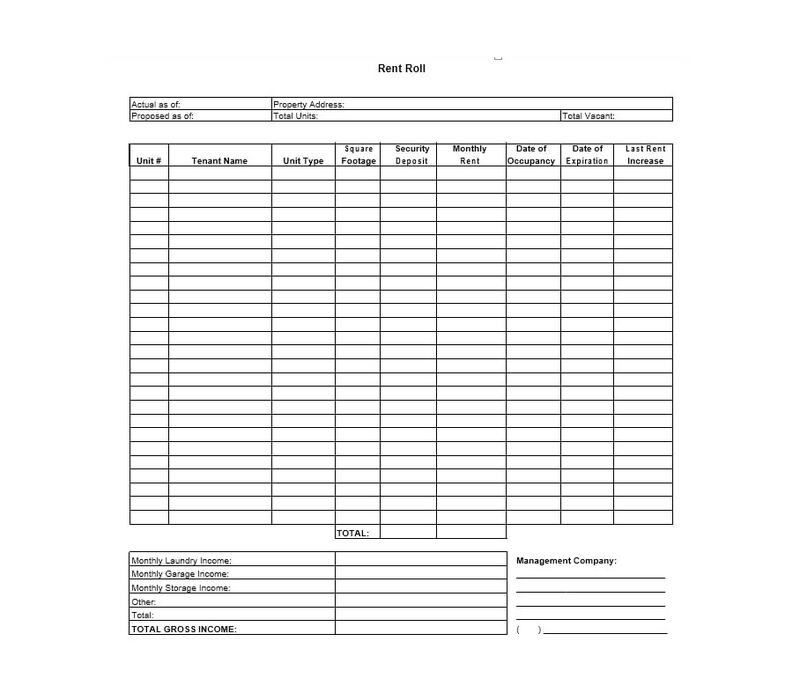 Such a form can help you record and compute any important information. All this information would be about your property. You can include in it the value of the property as well as other information relating to the real estate market. 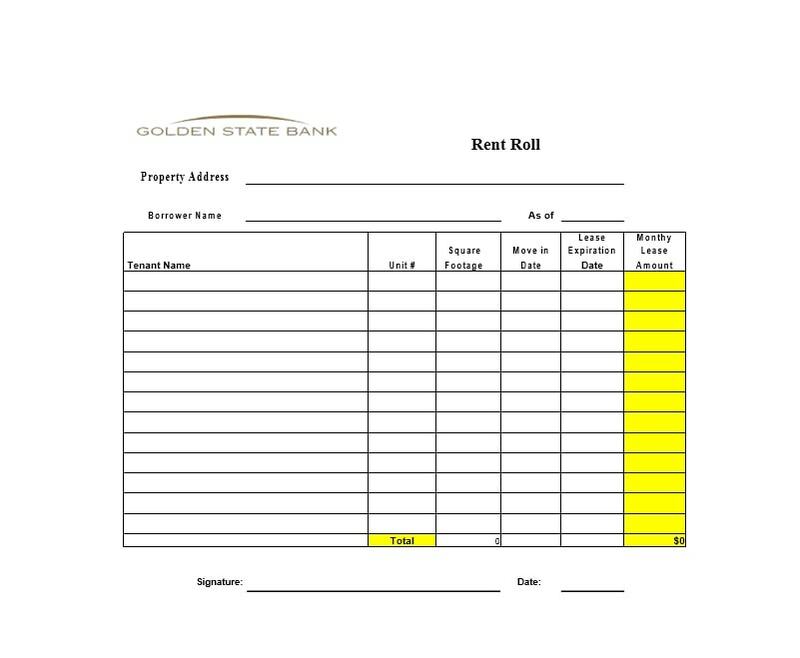 Any type of real estate property is an asset so the rent roll document becomes very beneficial. With it can keep track of all the information about your property. 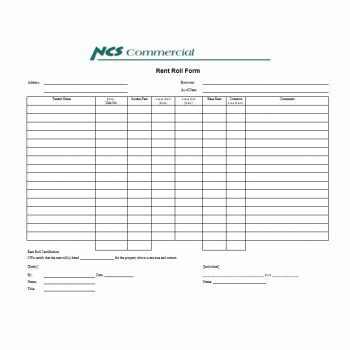 You can also keep all the information on it secure and accurate. 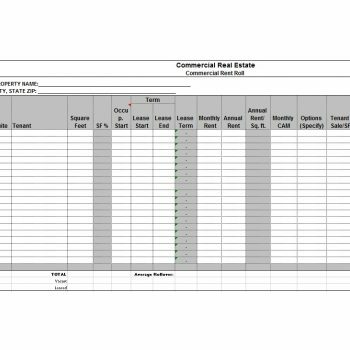 You can make these types of templates for real estate. 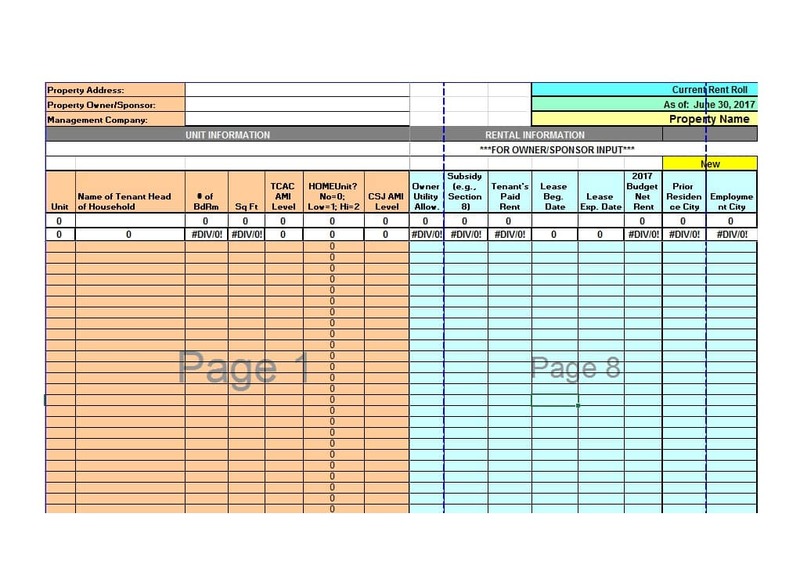 These are examples of some templates you can create. However, you can make your own template and format it as needed. No matter what type of form you make, just ensure that it serves the purpose you made it for. 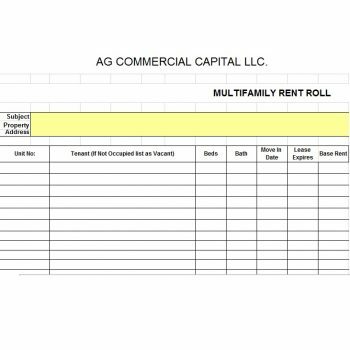 Every property owner in the rental property business should have a rent roll. He should also use it to its full potential. 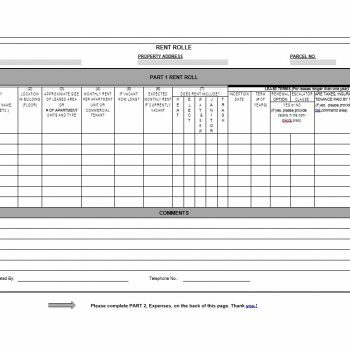 Having a well-designed and information-rich document is beneficial. It will ensure the property a place in the real estate market. 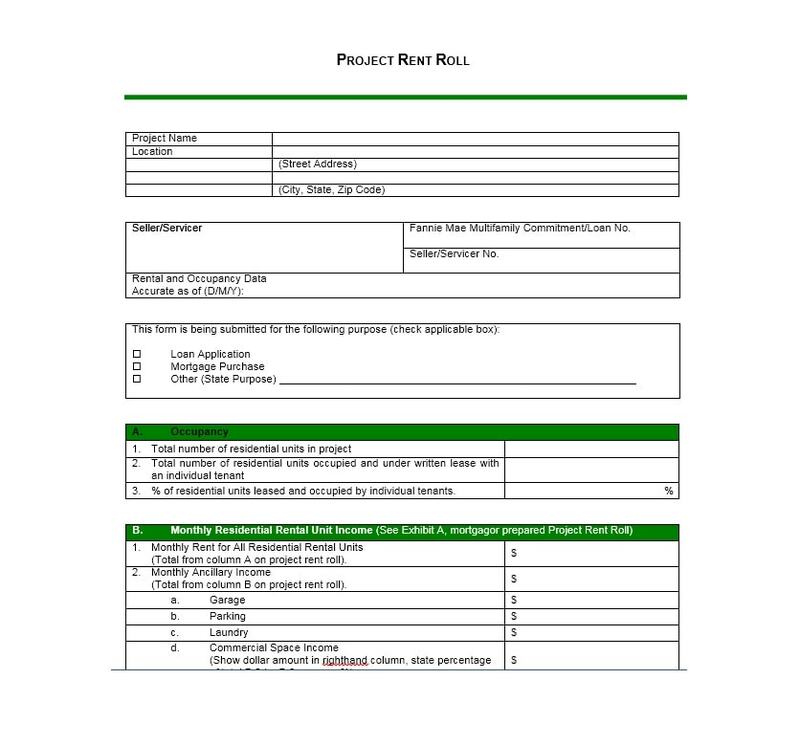 Property owners should involve themselves in research. They should have a keen sense when it comes to trends in real estate. 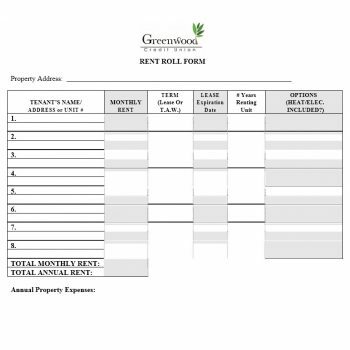 Get informed through social media accounts about relevant information regarding rental properties. Put only genuine information about descriptions on your property listings. To attract prospective tenants to your property, establish some effective marketing strategies. Go the extra mile to establish good relations. Build a good relationship with new clients and the tenants occupying your property. Acquire the services of good financial professionals. These include accountants and tax agents. Do this to fully assess the potential value of your property. 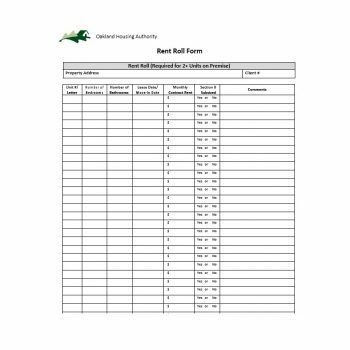 Make some effort to establish practices that will keep your clients on the property. At all times, the property should be presentable to inspectors. This is crucial so as not to negatively affect the marketable status of the property. 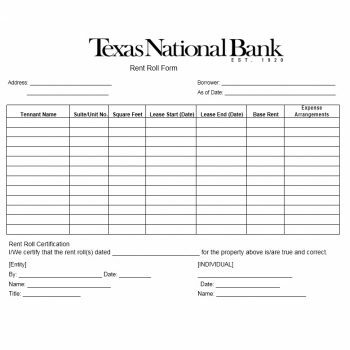 Always have on hand other important documents. 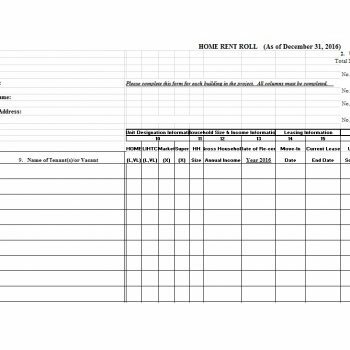 One such document is the lease amendment form. 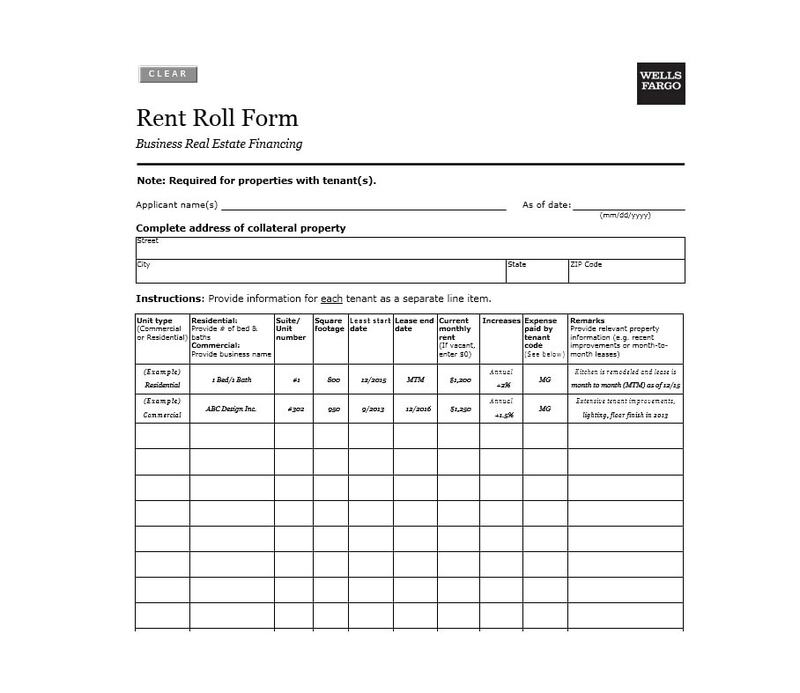 It can help in gathering the contents of the rent roll forms.